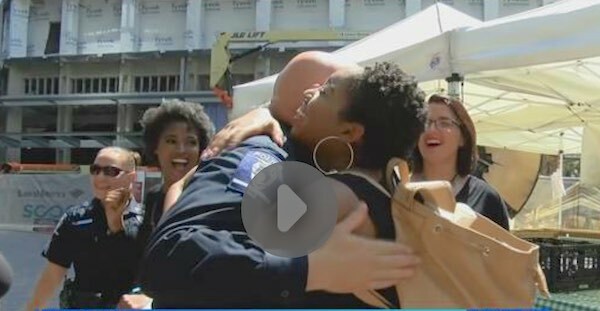 Beauty school students put on a beautiful display of humanity as they handed out much needed “free hugs” to police and passersby on the streets of Charlotte, North Carolina on Friday. About a dozen students from Paul Mitchell the School hugged police officers and other strangers, letting them know that things aren’t as bad as they appear. The scene generated smiles and tears — and a wave of people paying the random act of kindness forward. One guy appreciated the hug so much that he went and bought them bottles of water and returned to quench their thirst in the hot sun.